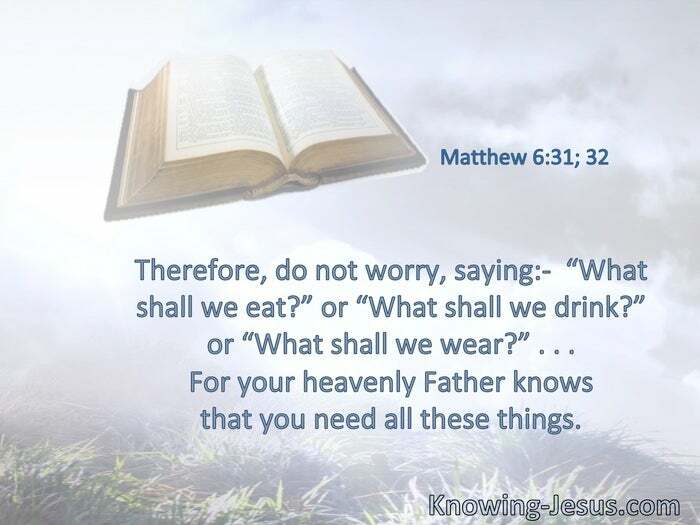 Therefore do not worry, saying, “What shall we eat?” or “What shall we drink?” or “What shall we wear?” . . . For your heavenly Father knows that you need all these things. Oh, fear the Lord, you His saints! There is no want to those who fear Him. The young lions lack and suffer hunger; but those who seek the Lord shall not lack any good thing. 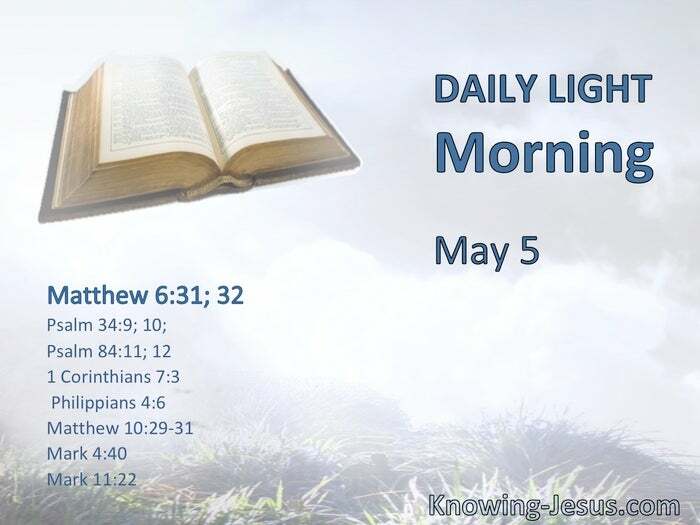 § No good thing will He withhold from those who walk uprightly. O Lord of hosts, blessed is the man who trusts in You. I want you to be without care. § Be anxious for nothing, but in everything by prayer and supplication, with thanksgiving, let your requests be made known to God. Are not two sparrows sold for a copper coin? And not one of them falls to the ground apart from your Father’s will. But the very hairs of your head are all numbered. Do not fear therefore; you are of more value than many sparrows. § Why are you so fearful? How is it that you have no faith? § Have faith in God.